United Way of the Kennebec Valley’s VolunteerME website helps people and organizations make the right match, and volunteers registering on the website has grown by 17 percent in the past year. Every month, about 350 families from Augusta and Manchester have their food security challenges met through the work of the Augusta Food Bank. It’s a lot of work for the nonprofit, and it relies on the generosity of volunteers giving their time to make it happen. Those volunteers come through the doors in numerous ways, one of which is the United Way of Kennebec Valley’s VolunteerME website. In the past year, the number of volunteers registering on the website has grown by 17 percent. In March, nonprofit pages were visited 468 times and a total of 943 volunteer opportunities were viewed. So VolunteerME was born, a statewide initiative from all the United Ways in Maine. Each of the nine branches of the organization in the state has its own, but the platform looks the same for each of them. The website was started in 2016, with 699 people expressing interest in volunteering having registered, as have 43 nonprofits looking for help. “The really great thing, more than any other resource, is the site is really local to your community,” Yeager added. “People can really drill down into what their interests are to find a volunteer opportunity that suits them. The local connection seems to have some meaning, at least in the experience of Ginny Marriner, director of Literacy Volunteers of Greater Augusta. The food bank has found several volunteers through the site, Shea said, including some who now have permanent shifts with the organization. She likes that she can post for specific positions and find the right candidate. One example Shea gave was finding a replacement for someone to make appointments for people to come to the food bank. “I went on and posted that we needed someone to work twice a week (to do the scheduling). We found someone — and she’s been great — who came from a company where that’s what she did,” she said. “She took phone calls and did scheduling. By being able to get really specific, you can target people you’re looking for. The food bank does not have any permanent positions available, but it is looking for people willing to work on a fill-in basis. Substitute roles sometimes turn into permanent ones. “Once they get in here and I get to know them, if they seem like a good fit — and most people are — they might say, ‘I’d really like to do this regularly,’” Shea said. As its name suggests, Literacy Volunteers couldn’t function without volunteers. While tutors are needed to help people improve their reading or learn English, volunteers come in many forms. “People who have come through that site have filled a variety of roles,” said Marriner. “Someone joined the board (of directors). Two people are currently tutoring. Others are doing some fundraising. “With the exception of one, everyone has found a role,” she added. Because there is a time commitment for tutors — five-and-a-half hours of training and an hour a week for at least a year — that role may not work for everyone. There are currently two board of directors openings, and special events bring other opportunities. One such upcoming chance is helping staff a table at the Kennebec Valley YMCA’s Healthy Kids Day, which is coming up April 27. “Part of that work is encouraging family literacy,” Marriner said. “We’re looking for volunteers to help out at that event. When his children were younger, Matt Newell gave his time to their school. Once they got older, however, he found himself looking for other ways to contribute to the community. The first opportunity he found through the VolunteerME website was assisting the Children’s Center with its Chili Chowder Cookoff last year. Katelyn Pushard is director of development and quality improvement for Children’s Center, which has locations in Augusta, Farmington, Gardiner and Skowhegan. Not only has she used the website to post volunteer needs, she’s also found opportunities for herself. “Some of the things I’ve done recently is went to an opportunity to help out with adults with disabilities who were bowling in the community, helped a basic essential pantry organize their supplies and went to a Day of Caring to help out with lunches at Cony and Winthrop,” she said. 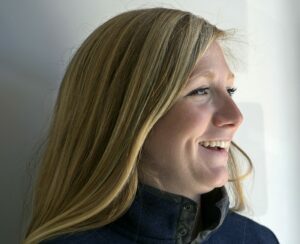 Through her involvement with the United Way — Pushard is a co-chairperson for the Emerging Leaders Society, whose members offer both financial and service contributions — she is exposed to a lot of organizations in central Maine and their volunteer needs. For those less familiar with that world, however, she said it’s a great place to find a lot of information in one place. Newell became familiar with the site because he’s active with the United Way as part of its Emerging Leaders Society. Not only does the site help him track his volunteer hours, but it also has helped him connect with opportunities that fit his time and skills. “It’s a great tool to find the organizations that are in need. 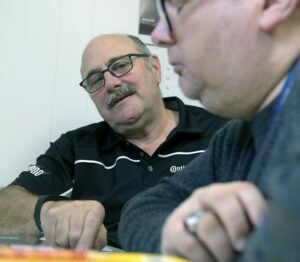 People want to volunteer, but they don’t know where to go,” Newell said. “Any way people can help their community, it’s a great thing. Whether it’s through this tool, or churches, schools or towns.